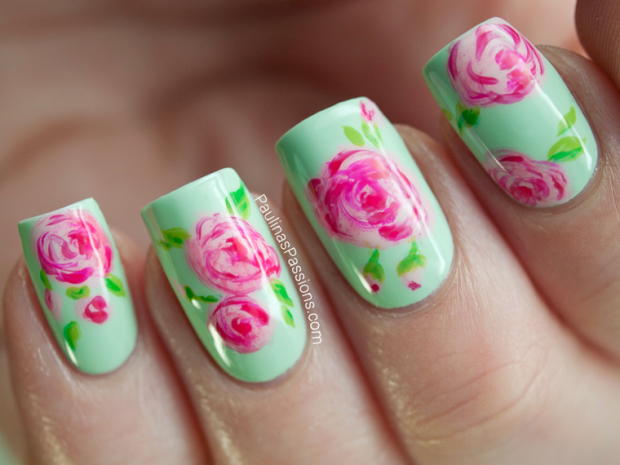 Nice and neat nails is dream of every woman, and it is a kind of hobby of some women. 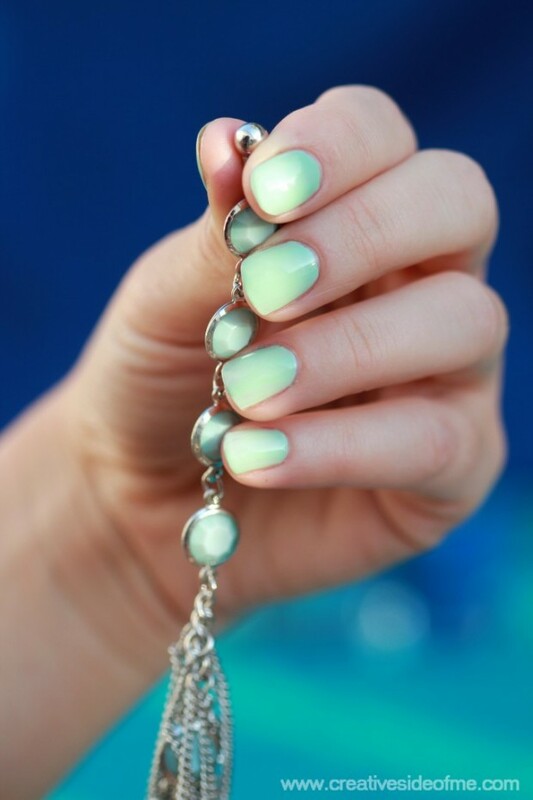 Every woman wants her nails to be beautiful and polished every day. 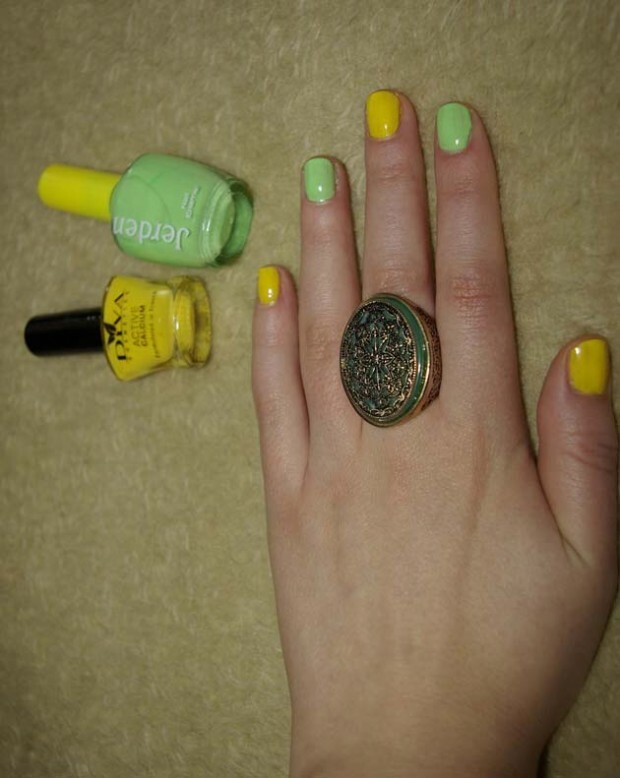 If you lack inspiration see our collection of nails with spring colors and patterns. 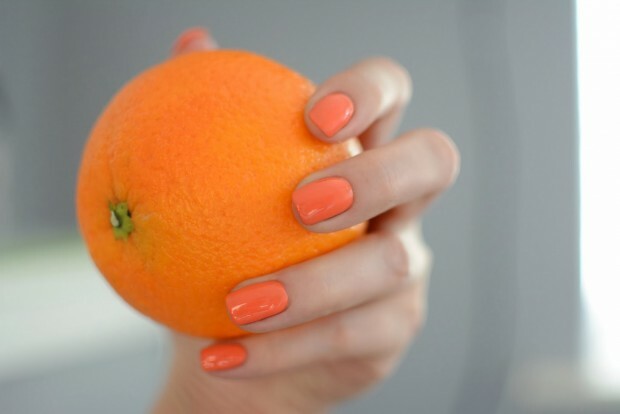 Make your selection from some of these fresh spring patterns and bright colors such as orange, yellow, green, pink, etc. 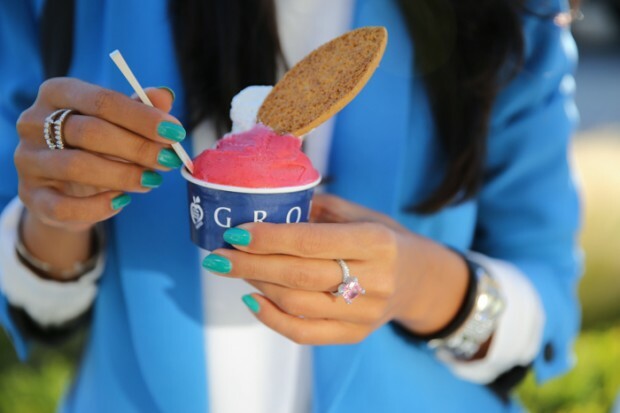 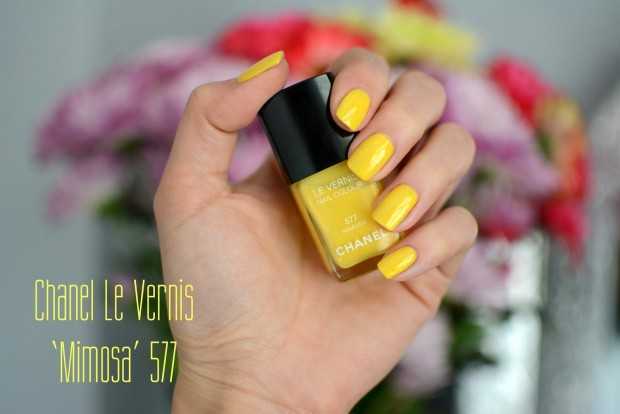 If you can not decide which spring colors to use for beautification of your nails, now you have an interesting decision with combination of all colors. 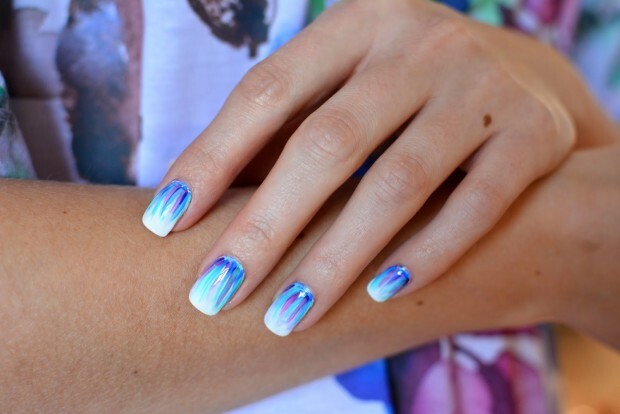 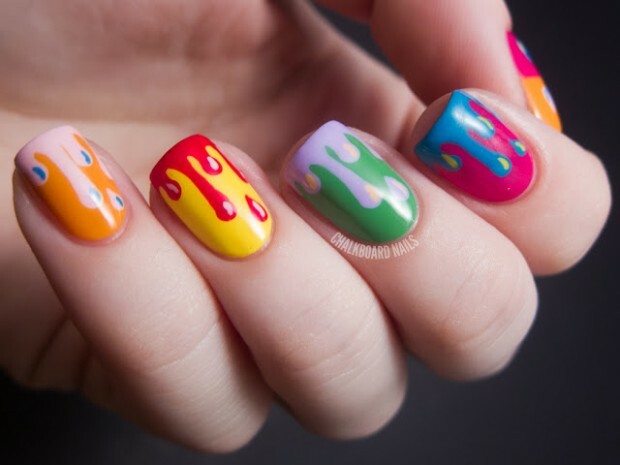 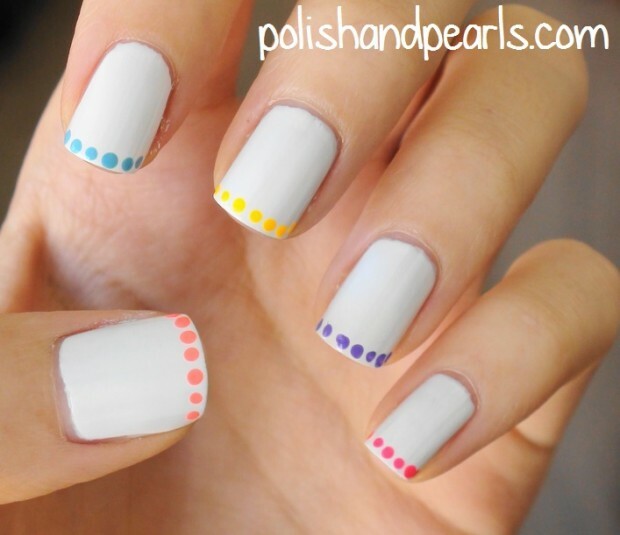 You can make all fingers in different colors and it will look gorgeous. 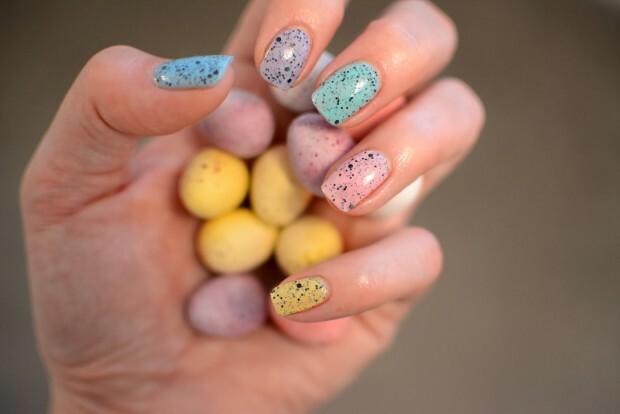 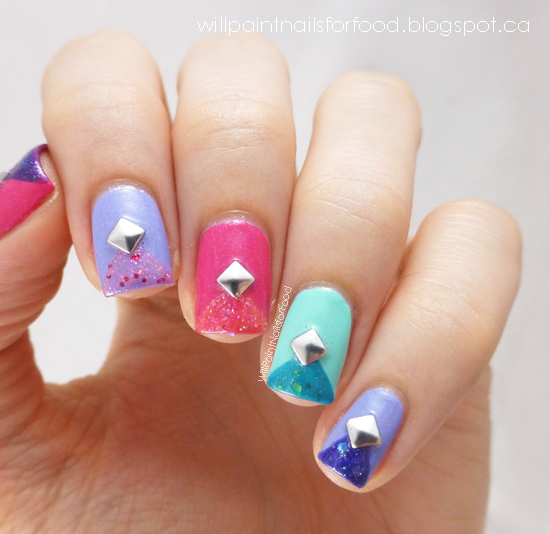 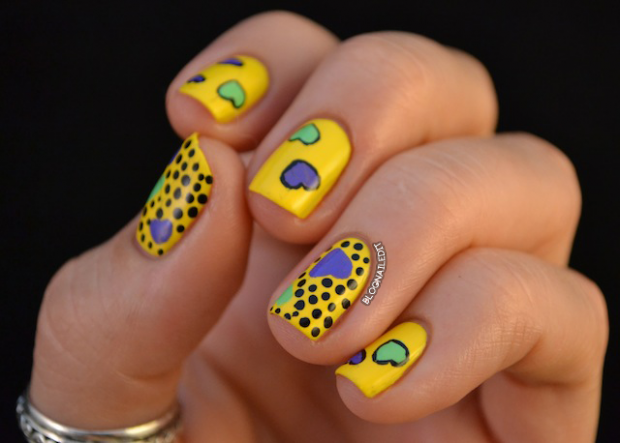 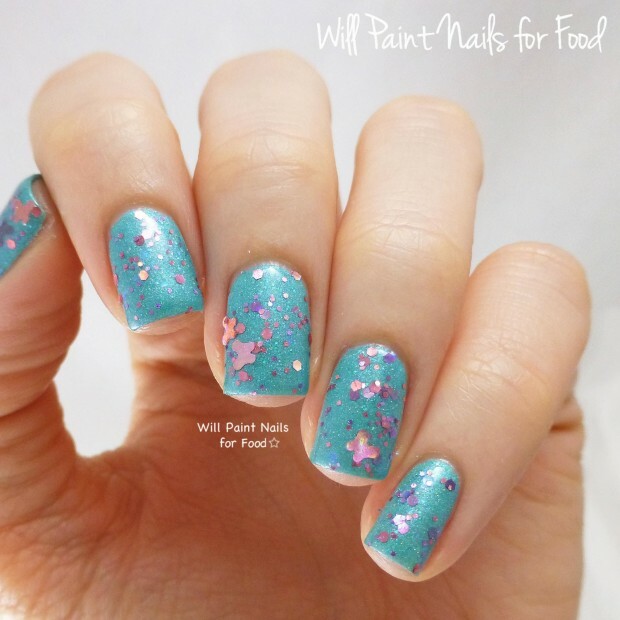 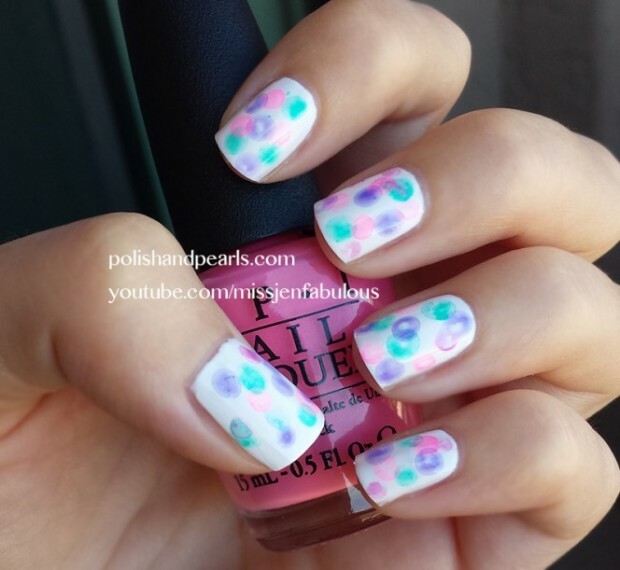 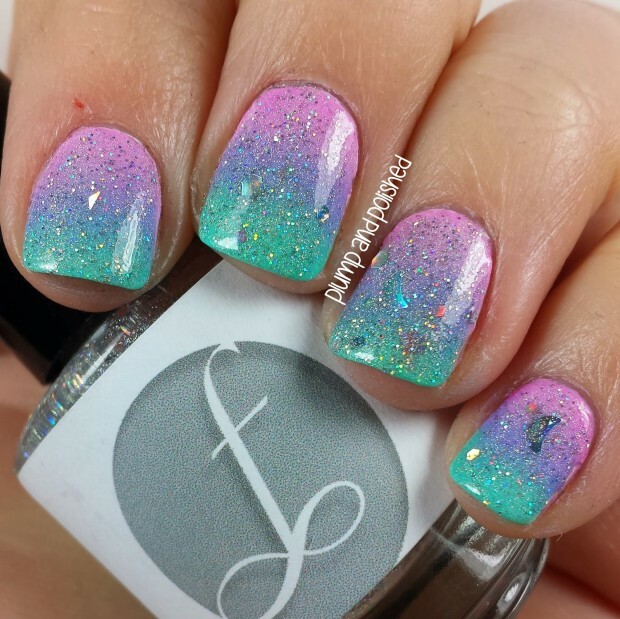 Another spring combination that you can do with all spring colors is when you put nail polish with white color as a base and then with a needle to put small dots of all colors in the order as you want. 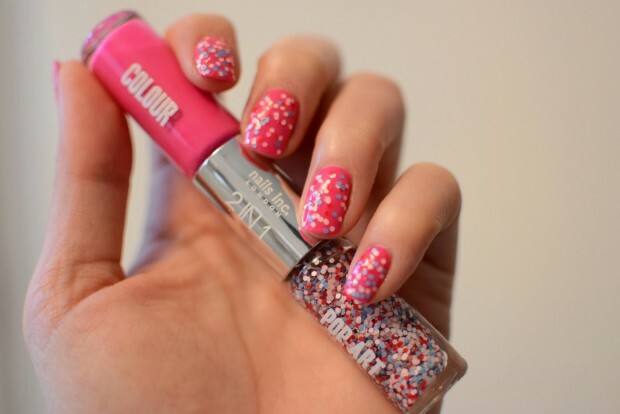 Now look at our collection and you will have a modern and neat nails.